Hi! 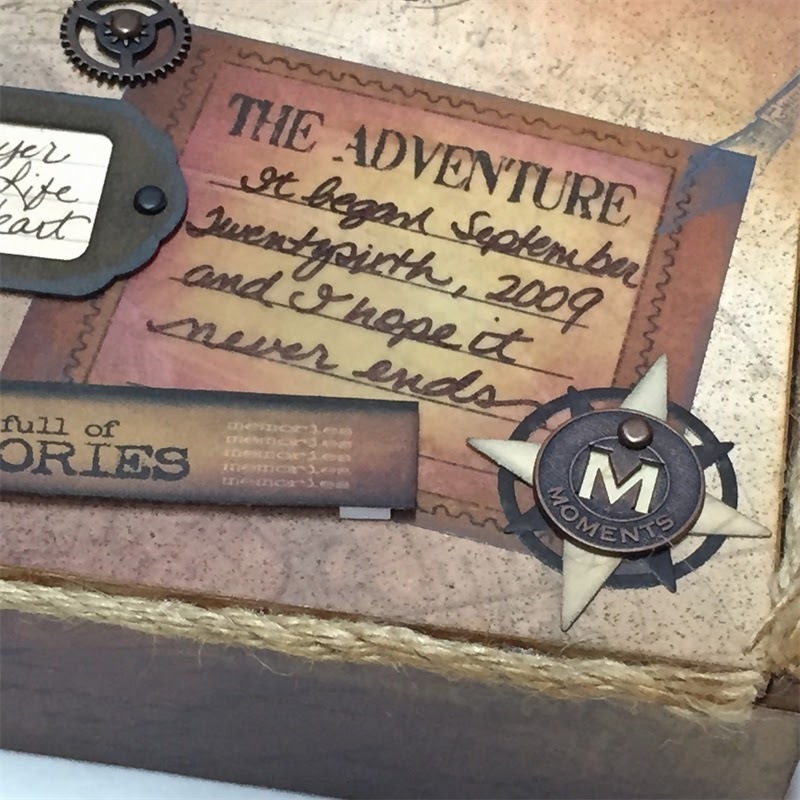 Alicia here today with an altered project for Quick Quotes! 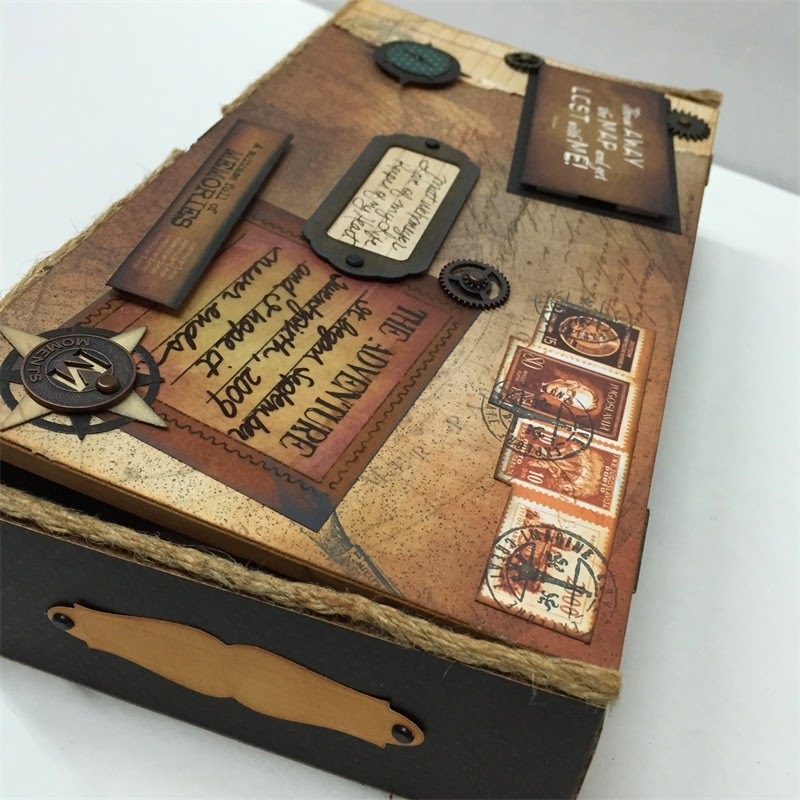 I have been moving my scrap room and came across a cigar box and my creative juices started to flow! It was just before Valentine's Day so I thought of my husband and what a great gift I could make. I started with the brand new Gypsy Road paper collection. I measured all the surfaces and cut pieces of paper to fit. Despite measuring there is always so adjustments to be made especially when you want the lid to close. I did remove the original hardware, cover the box and replace it for a finished look. 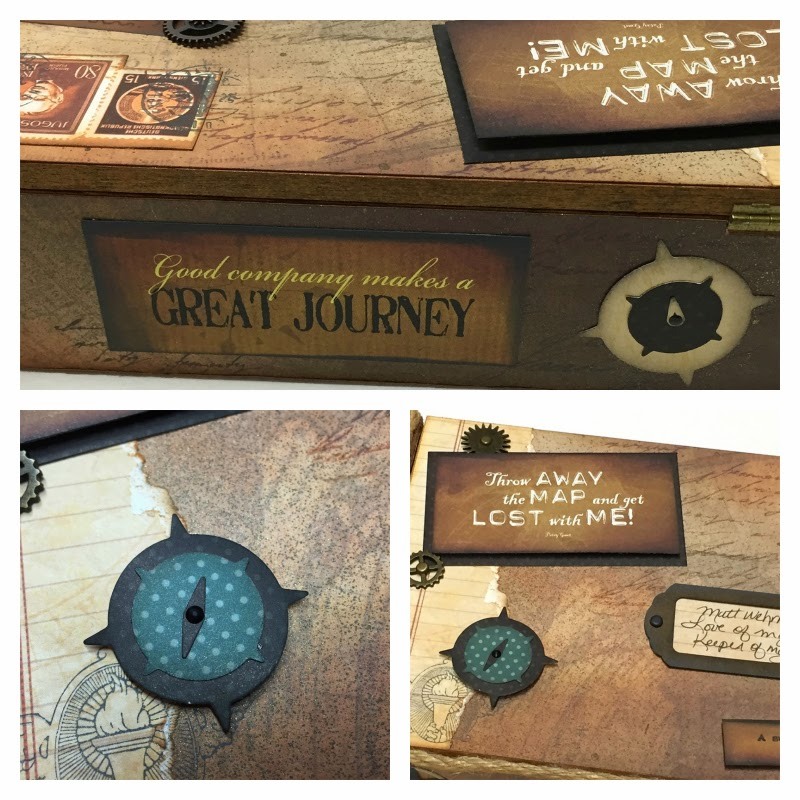 I added plenty of pieces from the Quick Quotes Bundle Travel and cut some travel related die cuts. I fussy cut a piece of Gypsy Road 100 for the stamps and used a piece from Frames Bag-o-Chips to frame the "address". 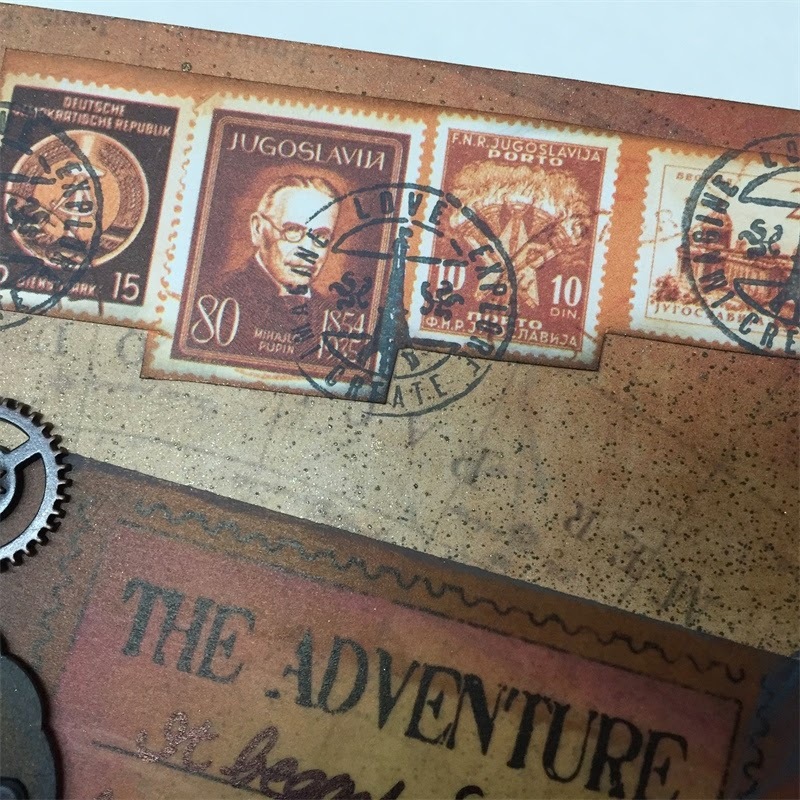 I found a cool stamp and used Coal Miner PowderPuff Chalking Ink to "cancel" the stamps. I sprayed the exterior with a couple of different spray inks to distress and used plenty of Quick Quotes PowderPuff Chalking Inks to color, edge and distress. I added just a drop of enamel accents to make a center for my compass. I distressed the interior lid with plenty of Rusty Nail PowderPuff Chalking Ink, it was the only part left uncovered because I like the logos. Alicia, I love your project. Definitely out of the box. Perfectly for this paper. A big hug! Thanks Martha! 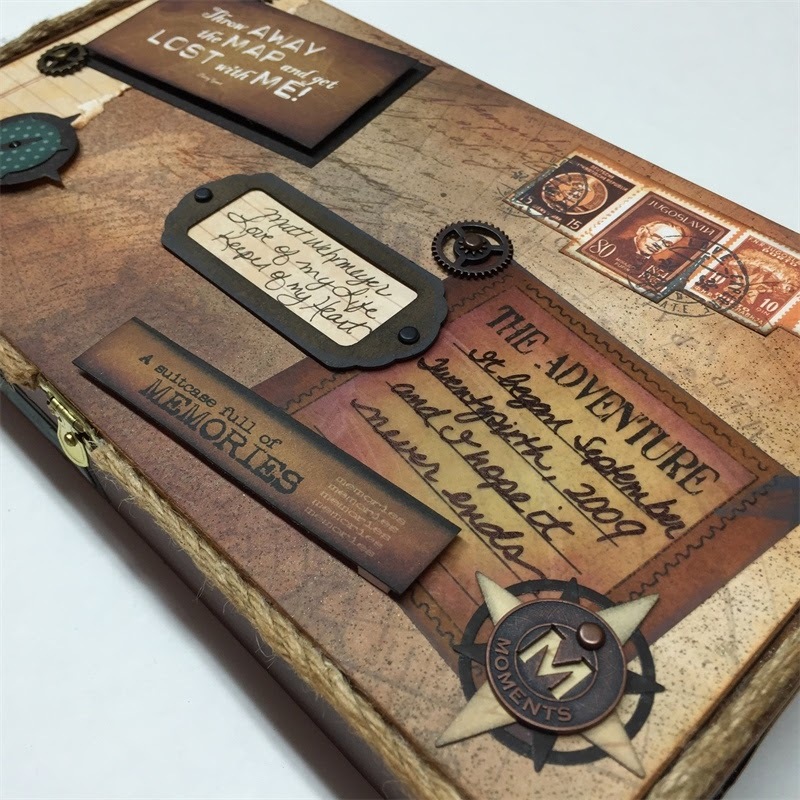 My husband loved it and it is already filled with cards and mini's I have made him! Cool project! Love the details! What a brilliant idea! I love the vintage feel of this box! Your hand written tag is the perfect touch to give it a personal, sentimental effect and all of the little details are fabulous! 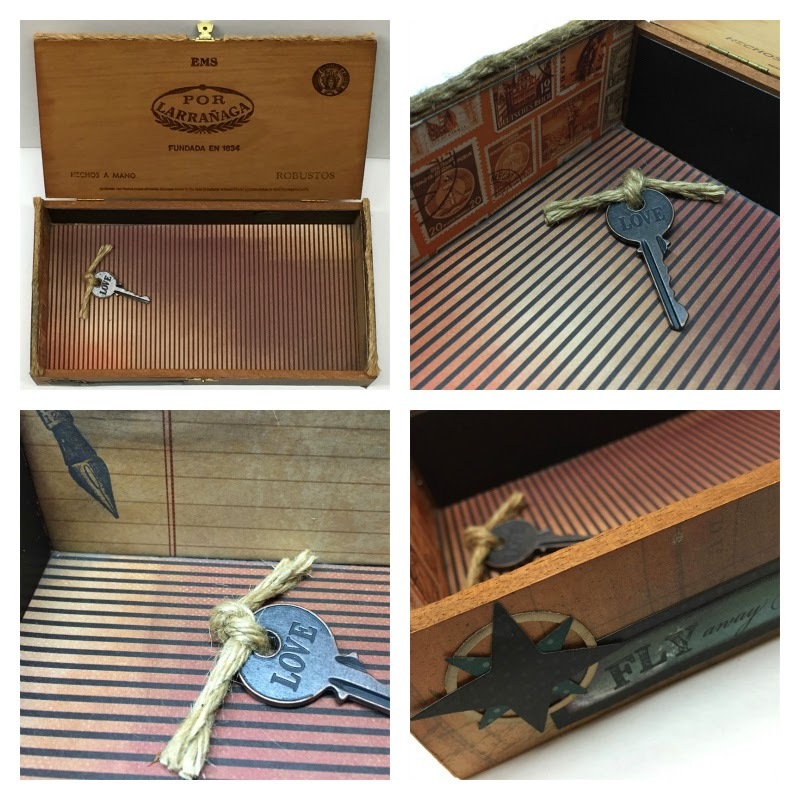 Especially the love key inside the box. He is going to love this! Thanks for sharing!